When Mercy Rutherford escapes North Carolina to get away from her fiancé, Gregory, she didn’t expect to be run down by an air ship - which resembled a dragon to her – driven by Lennox Caitheart. She discovers later that he is the Earl of Morton and Mercy also learns that he is the enemy of her extended family. That really is too bad, as he makes her heart flutter. Sadly, Gregory followed Mercy to Scotland, and when he shows up, he makes it certain that she knows he is determined to follow through with the marriage. Mercy has a plan – she asks the eccentric inventor to take her hand in marriage. She offers him her fortune for his inventions. Part of the reason Mercy approaches Lennox in this manner is that they do form an unlikely friendship. Of course, he refuses her money. But, Mercy must take this plan of action, as her marriage was arranged, much to her dismay. Furthermore, her family in Scotland is utterly abominable. This is an excellent story. I loved Mercy. 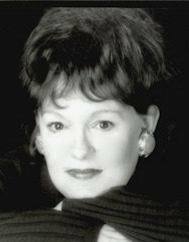 She knew what she didn’t want in life and discovered what she did. When this happened, she grabbed the bull by the horns. Lennox was absolutely wonderful. Most certainly a genius, he had a warm heart as well. There were other good characters, notably Ruthie and Elizabeth. Conversely, Mercy’s grandmother was of the worst sort. The was one negative person in the story that surprised me in the end. All in all, the characters played quite well into the story. 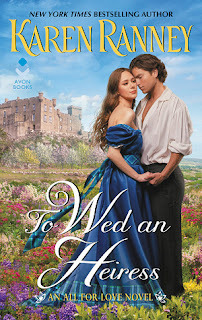 To Wed an Heiress is the second book in the All for Love series and was a terrific read. Not only did Mercy find love, but others did as well. The first book, To Love a Duchess, was also a great read.